Redford Interfaith Relief began in the summer of 1997 as a collaborative effort initiated, by members of the Redford Clergy Association (now referred to as the Redford Ministerial Alliance) for the purpose of Interfaith Outreach to meet the needs of the community. A steering committee was formed with participants strongly committed to this project. “It is our belief that easing the pain of hunger will help heal the spirit”. Annually, the RIR Board of Directors evaluates our programs, and, as we have increased our resources, new programs have been added to meet the needs of the community. RIR has found that most of the people we see do not just need food; they need a variety of other services to improve their standard of living. To meet these needs we have formed partnerships with many other agencies and collaborate to fill in the gaps in services—not duplicate them. A social worker was hired as director in January 1998 to implement the Emergency Food Program and give referrals to agencies as needed, and this service began in February of that year. Redford Interfaith was located in the basement at St. James Presbyterian Church, and was open on Tuesday and Friday for emergency food. Volunteers from member churches and the community performed all duties related to the distribution of food boxes. ​April, 1998 – the TEFAP Program (The Emergency Food Assistance Program or Government Surplus Food Commodities Program) was transferred from the Redford Community Center to Redford Interfaith Relief. This food program is distributed on the second Thursday of each month by RIR volunteers. See Food Programs list for more details. ​May, 1998 – the Senior Liquid Nutrition Program was acquired through the Wayne County office of Nutrition Services to meet special dietary needs of community residents ages 60 and over or people with disabilities on the Medicaid Waiver Program. This program is ordered by the customers and is also distributed on the second Thursday. June, 1998 – the Food Day program was implemented to supplement the TEFAP program. Food Day started by adding margarine and cheese, and continues to grow as our resources increase. By the end of 2001 we were able to increase this amount to several boxes (40 pounds) of food. 1999 – the First General Assembly meeting of the member churches was held. The Steering Committee then changed to a nine-member Board of Directors. Nine different churches are represented on the RIR board. Each year three new members are elected at the annual meeting. Redford Interfaith Relief services are evaluated at board meetings held six times a year and are constantly growing to meet the needs of the community. RIR networks with many community agencies to work together and coordinate services—not duplicate them. November, 1999 – RIR began the Rent, Utility and Mortgage assistance program. This was implemented to meet the needs of RIR’s customers and to “fill in the gaps” of existing services available. 2000 – Redford Interfaith Relief’s programs had outgrown the location and the Board of Directors realized the need for a new location and an increase in staff. RIR was blessed with a Food Program Director in February of 2001. In 2000 alone, 74,837 pounds of food were distributed to the needy in Redford. All with one part-time director and many dedicated volunteers. At the end of March, 2001 – this problem reached the crisis stage when RIR permanently lost the use of the building elevator for food transport within the facility. RIR Staff, Board Members and community supporters researched a new permanent location and funding needed to increase the budget accordingly. The Redford Elks came to our rescue April through August of 2001, providing their hall for our Food Day – TEFAP program. Our volunteers and customers were elated to have a first floor, handicapped-friendly location, although it was a long five months hauling food back and forth down the street to the Elks. The Elks’ support of our program was greatly appreciated. The Tuesday and Friday programs continued at St. James, it was business as usual until August 14, 2001. In the spring, the Redford Union School District unanimously approved leasing three rooms at Roosevelt School to RIR. All of our programs were moved to Roosevelt the week of August 15, 2001. Forty volunteers from our member churches and the Redford community kept the cost of the move to a minimum, and RIR was closed for one day that week. Many thanks to St. James Church for graciously providing a home for our program for all those years, and to the Redford Elks for providing an emergency home!! August 20, 2001 – RIR opened at Roosevelt School, 15100 Aubrey, Redford. This was a huge improvement to the service of Redford Interfaith Relief. The new location was all first floor and handicapped friendly, to better serve our senior and handicapped population, not to mention the rest of us. October 14, 2001 – RIR held an open house for the community. There was a good turn out of volunteers from the churches and the community. After September 11, 2001, RIR, along with many Michigan nonprofits, suffered from the decline of donations. Across the state, donations to Michigan nonprofits were down 60%. This problem, along with the census and the economy, also affected our 2002 grant from Redford Township. The rent, utility and mortgage program was put on hold in January & February of 2002 until other grant funds could be secured. Rent and mortgage assistance was restored in March of 2002 with the Emergency Food & Shelter Program Grant. Utility assistance was discontinued by RIR and customers are now referred to Wayne Metropolitan Community Services for the Thaw program. April 8, 2002 – Redford Union School District unanimously voted to add an additional room to RIR’s lease for a clothing program. Eagle Scout, Jason Gilbert designed and built the prototype racks, with help from Mark Temby & staff at Trilogiq Company (who donated all of the material). This was Jason’s Eagle Scout Project, with the help of 28 Boy Scouts from Troop 341 from Redford Baptist Church. They spent their time building 12 clothing racks for RIR’s new clothing closet. THANKS to Jason & Trilogiq for making this program possible!! June 7, 2002 – the Clothing Closet opened and continues to provide like-new seasonal clothing to our customers. Children’s, ladies and men’s clothing, is provided by our churches and community donors, as well as winter coats, shoes and boots. The year 2003 continued to be a busy year for Redford Interfaith Relief. The economy saw many problems, and RIR was here to provide the safety net for many families. Our programs providing the food, clothing and homeless prevention assistance kept many families from loosing their homes. 2004 – RIR continued to be run by an army of dedicated volunteers from 19 member churches, under the leadership of only one part time staff person, our Executive Director. This year RIR was pleased to add a new church to our community membership, El Bethel Baptist Church. They were very supportive their first year. Also two of our member churches, Rice Memorial and Lola Valley, merged to become New Beginnings United Methodist Church. ​Also in 2004, the RIR Finance Committee worked very hard to provide new ways of funding our programs with all of the grant cuts. Key donors have been responsible for the success of RIR. When grant funding was slashed, the volunteers again stepped up to the plate to become the hands and feet of our Lord. The Redford Senior Club, with the help of the St. Hilary’s Men’s Club, cooked up a community spaghetti dinner fundraiser feast. This was the beginning of what would, hopefully, become an annual fundraising dinner. What a delicious and fun event, supported by the whole community. THANKS! 2005 – RIR was blessed with a Customer Care Committee to help screen customers and meet the increased referral needs. One of our member churches, St. Agatha Catholic Church, closed in August. Their Priest and many members moved to either St. Priscilla’s in Livonia or Our Lady of Loretto in Redford. Redford Township continued to see an increase in home foreclosures. Several of our customers ran out of unemployment and now have no income, if they do not have children. Food Assistance (food stamps) are at a record high and Michigan is still receiving them for single people without the three month limit due to the economy. The Redford DHS (Michigan Department of Human Service) office closed and we assisted our customers with the move to the Greydale, Detroit office. January, 2006 – RIR was again faced with looking for a new location. Our partner, Redford Union School District, was again forced to make some very hard financial decisions to close more buildings to balance their deficit. The School Board presented three proposals to close buildings, which soon became 13 proposals with the community input, all listing Roosevelt. We began the search for a new location in January, but handicapped-friendly buildings are very few and far between. After much prayer, on October 11th at 5:30 PM we were told Redford Union had found a new home for RIR in the back of Pearson Education Center, 19990 Beech Daly. Our move was done with all volunteers and was a great success due to the dedication of our wonderful volunteers and community support. The very next day, TEFAP day, we scheduled appointments for 152 families for November on four different TEFAP days in a Client-choice Pantry. We received much support from Wayne County and Gleaners to make the needed changes in our program. In our new location our program totally changed to better accommodate our customers and volunteers. We are doing more with less space. Our TEFAP program has grown to serving almost 200 families all served from 9:30 AM to noon on one Thursday a month at Roosevelt. 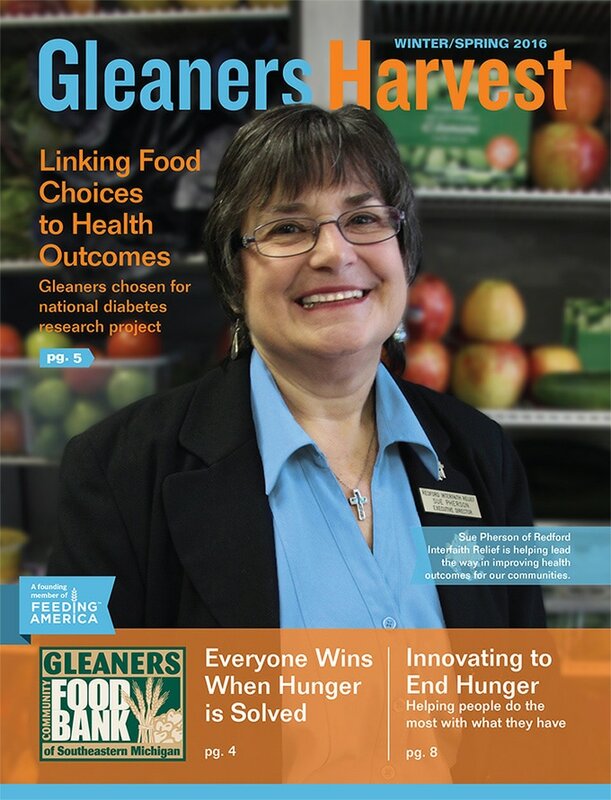 ​Our staff is always looking for ways to improve our program, and with much research with Gleaners Community Food Bank the choice was made to go to a Client-choice Program. Client-choice is considered best practices in food pantries. Our customers now shop for their own groceries in a nutritionally-sound pantry. We now have a glass door cooler that allows our customers to choose what fresh food they need, that is delivered by Forgotten Harvest every week. This has been a huge nutritional improvement to our program. In the near future, we hope to add a glass freezer to allow the choice of frozen food. ​January, 2007 – our Client-choice Food Pantry was running smoothly and TEFAP appointments were made for four different days of the month to increase our capacity to serve the ever-growing needs of 230 certified families a month just for the TEFAP food program. We also served up to 50 families a month for Emergency Food Program and fresh items when they came in to recertify for TEFAP. Keeping our community in their homes became a priority this year, providing more food to help families make ends meet. October, 2007 – with the increasing need for food, RIR was fortunate to hire our Founding Director Paula Martin, MBA, for a part time, short term contract to assist with clients. RIR is in the process of trying to raise additional funds to support this position. ​December, 2007 – UPS Foundation of Metro Detroit provided RIR with a $10,000.00 Employee Volunteer Grant. This grant request was made to UPS by Anne Sarazin our dedicated volunteer and UPS employee. We were able to purchase three industrial glass door freezers to increase our capacity for our customers to see the meat and other assorted frozen items received from Gleaners Community Food Bank and Forgotten Harvest Food Rescue. 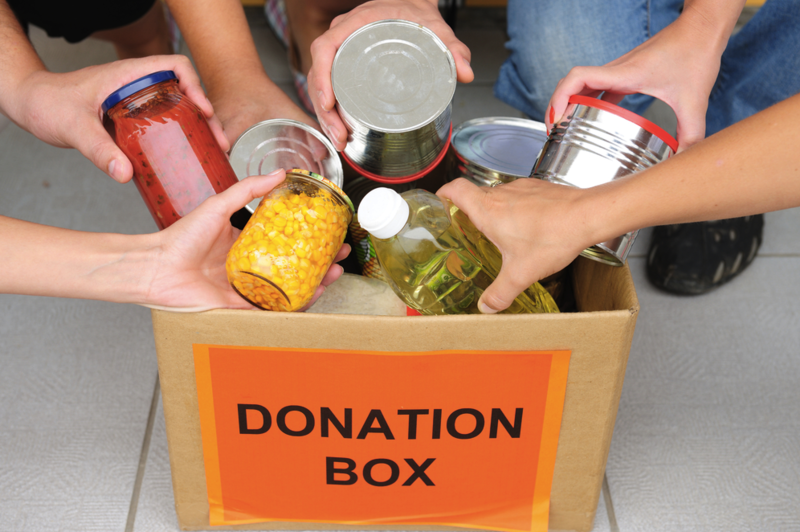 No Rent or Mortgage Financial Assistance was provided in 2007, due to the increased need of food and referrals. ​Summer 2008 – in response to the increased need for food, RIR volunteers started RIR’s first community pantry garden in the courtyard right outside our pantry. The start up was funded by Wayne Metro Community Action Agency, Community Funding Initiative. Volunteers roto-tilled the ground, built a regulated drip watering system, planted seeds and plants, weeded, picked the fresh vegetables and herbs. Our clients were delighted with all of the fresh food and the sharing of knowledge of how to prepare and freeze it; several clients volunteered their time in the garden. ​2008 – the Michigan economy took its toll on Redford businesses, and home foreclosures were everywhere. RIR saw many clients that had never had to ask for help before. Seniors on fixed incomes struggling to keep their homes, baby boomers caught between helping their children and aging parents and many laid off workers that were not prepared with emergency funds. ​Foreclosures are affecting all of us. Due to the extreme need of our economy, RIR is now requiring all clients that come to RIR every month for food to apply for the Federal Food Stamps Program (Michigan Food Assistance Program – FAP – Bridge Card). Food Stamps are the Federal Safety net for food insecurity and should be everyone’s first course of action. RIR gives out DHS applications and has been referring to MI DHS since 2000 for this service. Redford seniors are now able to go to the Redford Township Senior Office and our Senior Coordinator can now apply on-line for DHS programs for residents 60 years old through the MiCafe program. This has been a great help to our seniors. One senior that had never applied for Food Stamps before is now getting $168.00 a month on her Bridge card to spend at our local grocery store, less than two weeks after applying with Dorothy Morris. For every dollar of Food Stamps spent, it is also keeping our local grocery stores open and local people employed. In 2000 when RIR first started doing Food Stamps referrals, only 11% of the people that came to RIR for help reported receiving Food Stamps; by the end of 2008, 70% of our clients were receiving Food Stamps. This benefit to our clients and community is part of how RIR educates and empowers our clients to use the income that they do have to prevent their homelessness. ​RIR would like to thank the Redford Township Senior Club for their wonderful Benefit Golf Outing, Banquet and Silent Auction (at St. Robert Bellarmine Catholic Church) in June of 2008. The fundraiser brought the entire community together to support Redford Interfaith Relief’s fight against hunger and homeless prevention. The Senior Club raised $18,277.44 to keep RIR open for another year, when other programs are forced to close their doors due to lack of funding. In 2009 RIR was working with New Detroit Coalition to increase our capacity with the Compassionate Capital Initiative. This is year 5 of a 6 year Federal grant for New Detroit to assist small nonprofits like RIR. This has given the RIR director and board the opportunity to attend numerous workshops, evaluations and webinars on nonprofit best practices by the best consultants in their field. RIR also received a subaward to improve our capacity with IT support, nightly backups and updating our accounting system with a CPA to Quickbooks to improve accountability to our board and funders. Many thanks to the Redford business community leaders for the fundraisers they are doing to support the RIR program to keep their neighbors in their homes and prevent more foreclosures next door. Special thanks go to Dr. & Mrs. James Kravis and the Correct Care Family Chiropractic staff for continued support with community donation drives of cash, food and personal care. Dr. Kravis, wife Sandy and staff support Redford in many ways and have been supporting RIR with drives since 2001. Thanks to Dr. Kravis for your business leadership! ​In 2008, 2009, 2010 & 2011 Mr. Fred Inman of Vicky’s Homemade Ice Cream raised money for RIR with their fun 50 foot Banana Split fundraiser celebrating National Clown week with Clowns around Redford. This is a wonderful community event at Vicky’s don’t miss the great fun, I never knew clowns made such great banana splits, it tastes as good as it looks, now you see it, now you don’t. ​In 2010 & 2011 Kevin & Shelly from Murphy’s Restaurant held several dinner fundraiser for RIR. They extended their hours and served the community favorites to help RIR feed those in need. They donated all of their profits and all of the staff volunteered their time and donated their tips. It was like a family reunion for Redford. Thanks to Kevin, Shelly, staff and Betsy McRae our cashier! ​September 2010 was the First Annual RIR fundraiser sponsored by the RIR Board of Directors. At Cognizance 2010, under the direction of Rev. Demetrius Booker we honored our first Person of the Year Award. RIR recognized Teri & Mark Temby for their many years of dedicated volunteering and support of RIR with a community dinner and silent auction. In December 2010 also thanks to Sandy’s At the Beech. Sandy gave up her annual Christmas Party for customers to make a donation to help out our families in need. 2011 – Continues to be year of transition, with unemployment benefits running out, more people moving out of Redford and Redford Union (RU) consolidating elementary schools. In July with the help of 73 volunteers RIR moved from Pearson Education Center (now called Beech Elementary) into the closed Keeler school building. This was a temporary move until we could continue our plans to move into the Raeside Adminstration Building after the RU administration moved to Beech School in October. Many thanks to: John Raune & Two Men Truck moving company; Tom Rayburn & At Your Service volunteer ministry program; Mark & Terry Temby & their company Trilogiq, as they sent 30 volunteers to help us move during work hours; and all of our wonderful dedicated RIR volunteers that are always here to serve. 2011 – 300 RIR community supporters attended Cognizance 2011. RIR honored Dr. James Kravis, Correct Care Family Chiropractic and his Staff for the Person(s) of the Year Award. They continue to raise hunger awareness in our community with their customers and have supported RIR with over 10 years of food and personal care drives. Thanks again to St. Robert Bellarmine Catholic Church and Men’s Club for hosting the Gala Event. Redford Interfaith Relief is successful thanks to our dedicated Coalition of Member Churches, Redford Township, Redford Union Schools, Redford Senior Club, Businesses and other community groups and individuals all working together to make Redford a better place to live and work. No matter how bad the economy gets God has always provided RIR resources needed to continue our mission: Redford Interfaith is a faith-based coalition, in collaboration with community partners and volunteers that respectively serves and empowers all people in the Redford Community by assisting with basic food, clothing and referrals. Redford is truly a generous community of neighbors that help their neighbors!! THANKS! May God Bless all of you! !